President Trump's reported pick to lead U.S. EPA's Office of Water has represented states and industry in lawsuits against the agency — some of which were filed by then-Oklahoma Attorney General and now EPA Administrator Scott Pruitt. David Ross, director of the Wisconsin Department of Justice's Environmental Protection Unit, challenged EPA's Clean Water Rule as assistant attorney general of Wyoming in 2015. He also represented the American Farm Bureau Federation in its 2012 lawsuit over the EPA's Chesapeake Bay cleanup plan. Reached by telephone earlier this week, Ross declined to comment on reports that Trump was preparing to nominate him to be EPA water chief (Climatewire, July 26). As Oklahoma's top legal officer, Pruitt also filed a lawsuit over EPA's Clean Water Rule and filed an amicus brief supporting the Farm Bureau in the Chesapeake Bay case. Environmentalists and industry attorneys alike praise Ross as detail-oriented and collegial, with a deep understanding of water policy issues. "He's a lawyer's lawyer," said the National Wildlife Federation's Jan Goldman-Carter, who worked with Ross on an EPA advisory panel. For 14 years as a lawyer before moving into state government, Ross represented industry clients against EPA. In one of his higher-profile cases, Ross worked on a team of Crowell & Moring lawyers representing the Farm Bureau in its lawsuit against EPA's setting of a "pollution diet" for the Chesapeake Bay. 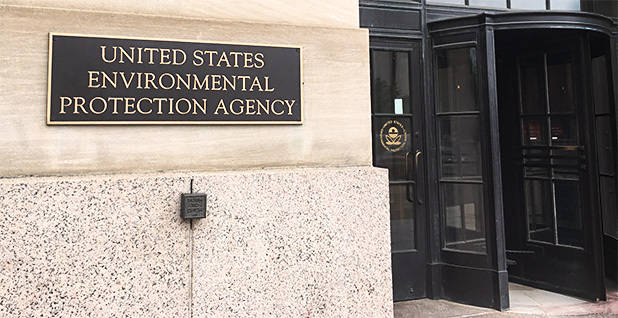 The Farm Bureau argued that EPA's total maximum daily load (TDML) for pollutants washing off land effectively asserted federal control over local land use and was unconstitutional. The Farm Bureau lost the case and its appeal, with the 3rd U.S. Circuit Court of Appeals calling its argument "long on swagger, but short on specificity" (Greenwire, July 6 2015). Ross left Crowell & Moring in 2013, before the case went to the court of appeals, to join another Washington law firm. In the initial legal challenge, he slammed EPA modeling that helped set the pollution limits in oral arguments before the U.S. District Court for the Middle District of Pennsylvania. Mid-Atlantic weekly farming newspaper Lancaster Farming described Ross as criticizing the standard as flawed because it couldn't accurately measure nutrient loadings at the local level. Richard Schwartz, who led the Crowell team, said Ross is adept at understanding complicated scientific issues and how they intersect with the law. "In environmental law, there is always an important element of science or engineering, and David is certainly very talented at that sort of analysis," he said. "He is very comfortable with technical issues." He added that Ross is a "team player." "I simply cannot think of a better person to work with than Dave," he said. While at Crowell, Ross also successfully represented the National Association of Home Builders and Wisconsin Builders Association on a case involving stormwater discharges from construction sites. In that 2005 case, the 7th U.S. Circuit Court of Appeals agreed with industry groups that EPA didn't have to make individual construction-site stormwater plans subject to public comment and review. Ross left Washington in 2014 and joined the Wyoming Office of the Attorney General's environment division. He helped draft Wyoming's challenge to EPA's Clean Water Rule, which clarified which wetlands and waterways are covered by the Clean Water Act. That lawsuit, filed with 12 other states in the U.S. District Court for the District of North Dakota, resulted in the first stay of the Obama-era regulation for those 13 states. The case was later itself stayed while the 6th U.S. Circuit Court of Appeals took up the issue. Also during that time, Ross represented Wyoming on an EPA advisory subcommittee that examined how to encourage states to assume responsibility for federal dredge-and-fill permits under the Clean Water Act. While the law has allowed states to administer the Section 404 dredge-and-fill program since 1977, only two — Michigan and New Jersey — have taken over that role. The subcommittee was partly responsible for recommending how to make it easier for states to administer the permits, as states are able to do for a number of EPA programs, without infringing on the Army Corps of Engineers' control over navigable waters. It was "a somewhat arcane issue," said committee member Michelle Hale, director of the Alaska Department of Environmental Conservation's Division of Water, but Ross "was very focused, had a good legal mind and really understood the nuances of the issue." The 22 subcommittee members intentionally steered clear of discussing which waters should be protected by the Clean Water Act, they said, meaning Ross' role suing EPA over the Clean Water Rule did not come up. But Goldman-Carter, senior manager of wetlands and water resources at NWF, said she was aware of Ross' role in the litigation. She worked closely with Ross to research the legislative history of the issue and described him as "a smart guy." She added, "I felt he was a pretty straight shooter, as far as I can tell." But, she said, she was not happy to hear he might join the Trump EPA, taking charge of the administration's efforts to repeal and replace the Clean Water Rule with a more restrictive vision of federal jurisdiction. "I don't take much comfort in him being a collegial, smart person," Goldman-Carter said, acknowledging that she "would be wary of almost anybody who would take that position" with the Trump administration. Peg Bostwick, who represented the Association of State Wetland Managers on the EPA committee, took the opposite point of view. She said she considers "with a grain of salt" that Ross was involved in the Clean Water Rule litigation in Wyoming, arguing that state attorneys general and their staffs could have their own political motivations for moving forward with the suit and that, while Ross was clearly interested in the states having a role in the Clean Water Act, she was otherwise unsure of his personal thoughts on the matter. "You don't know if it was marching orders or something about the rule that concerned him," she said, adding that, "There are things in that rule that were not ideal." By contrast, Bostwick said, Ross struck her as "pretty open and pragmatic and interested in wetlands and resource protection, with a primary focus on the states' role." "I was pretty pleased when I heard [about the possible nomination] because he struck me as a good fit," she said. "He seemed to really know the issues." Ross took the helm of the Wisconsin Department of Justice's environmental protection unit last August. The move rankled environmentalists because he replaced Thomas Dawson, who had served in the position for almost 15 years. According to local news reports, among them an article in the Wisconsin State Journal, many environmentalists believed Dawson had been forced out by Attorney General Brad Schimel (R) to make the office more industry-friendly. But the move was actually a return home for Ross, who grew up in Wisconsin and attended the University of Wisconsin, Madison, where he studied environmental studies and international relations. After graduating in 1994, Ross ran an environmental consulting firm in San Diego. The firm, according to his LinkedIn page, focused on designing and installing wastewater reclamation and purification technologies. Ross then went to Vermont Law School, where he served as the editor of the Vermont Law Review and focused on environmental law. Archived tables of contents show he wrote about environmental topics including nuclear waste storage at Yucca Mountain in Nevada. Vermont Law School professor Pat Parenteau said he didn't remember Ross but was surprised that someone from the school — whose strong suit is environmental law — would consider joining the Trump Administration. "With a VLS degree, he should know better than to agree with Pruitt on the scope of the Clean Water Act," Parenteau wrote in an email. After getting his law degree, Ross helped write a section of an American Bar Association textbook on the Clean Water Act. Edward Witte, who worked with Ross on a chapter about how the law addresses nonpoint pollution from stormwater runoff and agricultural sources, also described Ross as a professional. The pair didn't discuss politics in writing their section of "The Clean Water Act Handbook," which Witte described as "pretty objective," but he said he thinks Ross would be an asset to EPA. "He is a guy of incredible integrity, and he will fulfill his job with integrity," Witte said.